Ceramic tile, made from a mixture of clay and other all-natural elements, has been used as a surfacing material for hundreds of years. In fact, it is very little changed in make-up from what it was a thousand years ago. Ceramic tile comes in a vast array of colors, textures, and finishes, making it an ideal choice for almost any decor-from traditional to avant-garde. Because of its water and stain resistance, it has long been the most popular countertop material for kitchens and baths, particularly the glazed variety. Glazed ceramic tile is made by baking the glass-like glaze onto the tile, which gives it a hard, protective shell. Another popular tile for countertops is ultra-tough porcelain. Made by baking white clay at high heat, porcelain is more expensive than ceramic tile but also completely resistant to water. 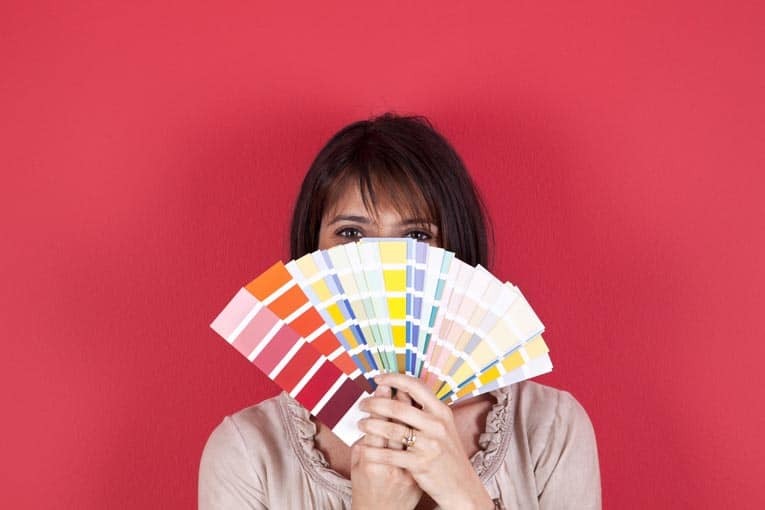 It can be tinted almost any color, but look for tiles that are tinted throughout, which will make any chips far less noticeable. Any tile that is not glazed, which means it was fired at a comparatively low heat, is not a good choice for a kitchen. The tile is porous, so it will soak up water and other liquids. This will not only stain the tile but also create a breeding ground for bacteria and mildew. Tiles come in a wide array of shapes and sizes, from the standard 4-inch-square field tile to such specialized shapes as octagons and even rhomboids. 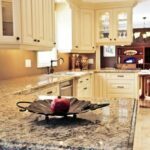 An increasingly popular choice for countertops is 12-inch floor tiles, which make for a flatter surface and fewer grout lines. The choice of design statements is also vast. Tiles come with metallic glazes, hand painting, embossed designs, and finishes that mimic natural stone. You can arrange tiles in a multitude of ways, mixing colors and sizes in checkerboard, mosaic, or random patterns. Versatile as tile is, it does have some drawbacks. It can chip and crack, and you may need to re-grout every few years if the grout becomes stained or cracked. The cost of tiles is just as varied as the tiles themselves. A standard field tile by a major manufacturer can cost as little as 35 cents, while custom handmade tiles can run as much as $150 apiece. If you get your heart set on a particular tile but budget is a concern, think about combining standard field tiles with a few hand-painted tiles as a backsplash. 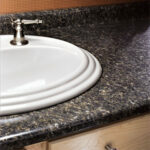 (Avoid using decorative tiles on a countertop because they are not water resistant.). 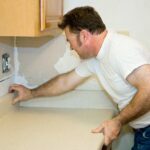 You can also save money by doing the installation yourself.